This key chain is prefect to give the person who has always been there to secure your direction in life. Like that of the stirrup, whoever was there to get you back on the horse again. This key chain will show your appreciation. 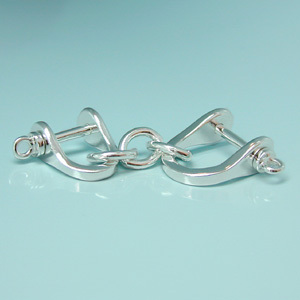 Designed in a Stirrup shape, this sterling silver key chain is opened by a screw mechanism. Made with different size stirrups on each end, this key chain's dimension is 1 x 2.5 inches.